We are glad to be able to tell you this is not fair and not true. Pattaya has its beauty like the rest of this magical country. 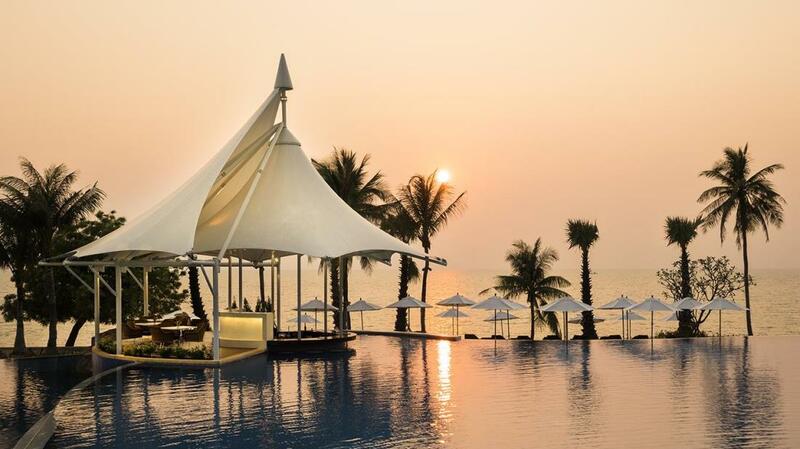 We love the Movenpick hotel pattaya. Sat write on the coast, the blue gulf is your personal window of beauty. A gorgeous pool backs onto the long and inviting beach. Now we’ll be honest, if you love beaches, you’ll enjoy Koh Samui or Phuket or Koh Samed a lot more. It is a little windy and not so amazingly picturesque, but we swam in the sea none the less and it warm as bath water! But, as we already stated, the pool with its lovely lagoon style pool bar is more than enough to keep you hydrated and entertained. 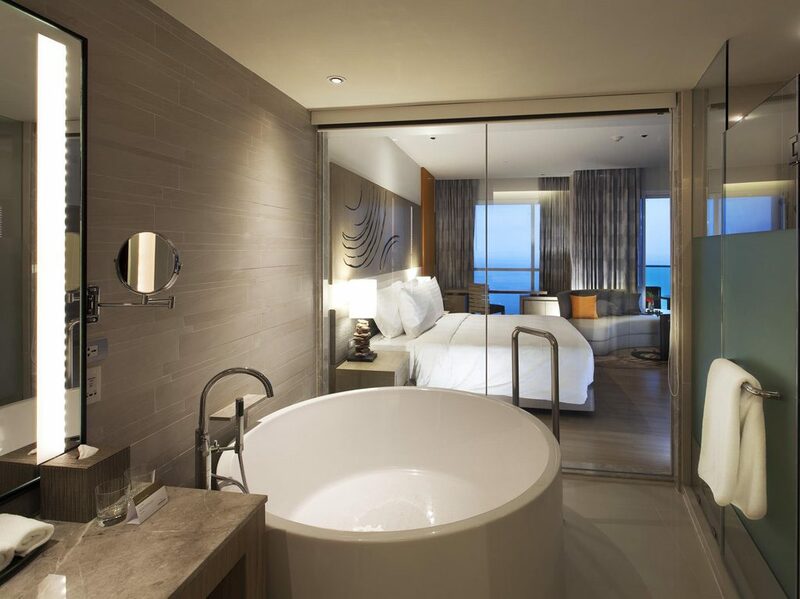 We stayed in an executive suite, which gave us a massive room, balcony and a beautiful free standing bath tub. Plus, complimentary snacks and alcohol daily from 5-7pm in the executive lounge on the 36th floor. A gorgeous New York style steak restaurant ‘T55’ took care of our dinner plans. We were pretty sad to check out in the end, but we stayed in 2 other hotels in Pattaya, which we’ll write about in other reviews.